Partnership Development is putting an end to how missionaries have traditionally raised support for centuries because traditional fundraising is not relationally based and not always successful for long-term missions. In the 1800s, women raised money for missionaries through ladies societies, quilting bees, pie sales, and church events. Several decades later, in the late 1990s and early 2000s, missionaries fundraised through newsletters, food auctions, hosting evening galas, garage sales, lemonade stands, and car washes. From 2010 to 2015, people started fundraising online with GoFundMe campaigns, Facebook, Craigslist, selling homemade decor on Etsy, or setting up donation funds with businesses such as Chick-fil-a, or hanging fliers at small coffee shops. Today, while traditional fundraising has been helpful, missionaries can prepare for long-term missions by raising support through Partnership Development. 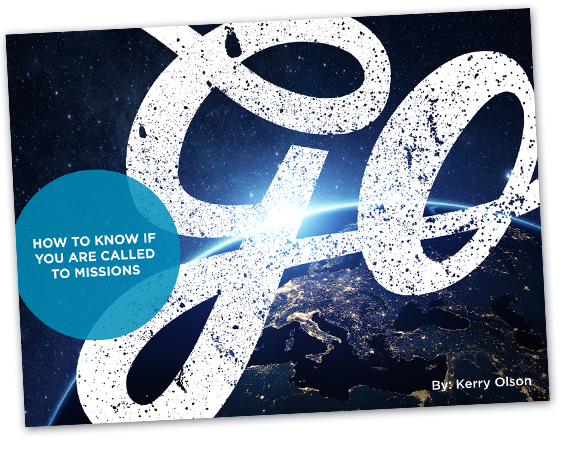 Now missionaries can set goals of how much money they need to raise and begin building relationships with their contacts. They invest into their partners and launch confidently onto the mission field fully funded by telling their story effectively, casting a vision of what God is doing in the world, and strategically working through a cycle of following up with their dedicated partners by maintaining friendships through newsletter updates, phone calls, and face to face meetings over coffee. To learn more about Partnership Development, I interviewed Malaina, a recent alumnus of Bethany Global University who did her internship in France. She shared her story and first-hand experience with fundraising and Partnership Development, as well as her excitement of doing Partnership Development again in the future. This blog is a compilation of our conversation and research information on what Partnership Development is compared to fundraising and why it is successful in getting missionaries to the field fully funded. How is Fundraising Different than Partnership Development? Traditionally, fundraising has been passively communicating in a newsletter or online post about where God is leading you and how people can support you with money and prayer. The problem is that you automatically assume that people want to give you money without first building a relationship based on trust. This is the key aspect of Partnership Development: Partnership Development is a cycle of nurturing relationships while communicating who you are and intentionally inviting others to partner with you in a long-term vision through financial support. Instead of starting an online fundraising campaign or asking for financial support in your newsletter and not knowing who is going to support you, you are looking for responses and commitment from your contacts. When you follow up with your contacts, you know how far along you are and you have a much better grasp on knowing who is supporting you and where the money is coming in from. The joy of Partnership Development is finding like-minded and like-hearted people who are willing to commit to monthly giving and become your support team while advocating for you in prayer. As you join together with God in the work He is doing all over the world, your dedicated partners will begin to see the impact and effectiveness of the gospel transforming lives, keeping them as part of your support team for a long time. Partnership development is all about building relationships and being intentional. It is a very organized and strategic approach of telling people your story, getting them on board with what God is doing in the world, and following up with them on how they can be a part of it. You have to be dedicated to this process, as it requires you to be fully engaged with your contacts. It all comes down to good stewardship of the people and relationships God has placed in your life. Why are people going to support you? Your contacts may have been praying for opportunities to free girls from human trafficking, or help Syrian refugees process what they’ve been through in Greece, or hear the gospel transform an unreached people group in the Himalayas, but they don’t know how to give or who support unless you speak up. Building trust with your contacts is critical for your process of getting fully funded. Without trust, there can be no relationship–at least, not a healthy relationship. You aren’t just getting something from your partners, you are becoming a team of people that are working together to do your part in the Great Commission. Everyone can be an advocate for missions, though not everyone is called to become a missionary overseas. It not just for your benefit that you build these relationships with partners, but for the partners themselves as you get to invite them into the clear vision of what God is doing in the world and how they can make a difference in someone else’s life by supporting you. Fear of rejection can be your main hindrance to raising support. For missionaries who have already tried fundraising multiple times and have either failed or have not had much success, they dread asking people for money. This is because many forms of fundraising, such as writing a newsletter, have no structure and don’t include follow up communication. A good example of this is when you make all your friends aware of what’s happening in your life through a Facebook post and add a fundraiser campaign but receive no response from anyone. Your high hopes that people will see your work as valuable are crushed and you feel discouraged and rejected by your friends–even though no one ever told you that they weren’t going to support you. Studies and experience have shown that most contacts will only donate once or not at all if there is no structure for following up. This is often missed in fundraising and one of the reasons why missionaries feel so rejected when asking people for money. With the traditional way of fundraising, there is no action plan and if a missionary doesn’t clearly communicate a vision, they will also face the fear of rejection because they never know who is going to give or how much they should expect to receive so they can plan accordingly. People do not view financial support of any value to you unless you communicate the vision God has given you to use your passions and what you’re good at in another part of the world to bring greater impact to the lives of individuals who are hopeless without the gospel. As a missionary, you need to root out fear of rejection so that you aren’t hindering yourself from experiencing the riches of God’s blessings through the team of people He’s already provided for you as you go overseas and obey the calling He’s placed on your life. That’s why Partnership Development is so crucial. There is no need to be scared to raise support for missions. Instead, it is an exciting time where you get to invite people to join you in a shared vision of what God is doing and how they can be a part of it. People want to see their support make a difference in other people’s lives around the world. When you begin building relationships with your partners, you are telling your own story. They aren’t going to support you just because you are moving across the world and following God’s call by doing something but because they believe in the vision that you have. Again, you are building trust and credibility by telling your story. This isn’t just another mission trip you’re going on. It’s about your testimony, the call God has instilled in you since childhood, your passion for helping hurting people, what God is doing in your life right now to prepare you for the future, and the direction He is taking you. This is the story people want to partner with. Missionaries who go through Partnership Development are often excited to do it again. After talking with Malaina, I have been encouraged by her enthusiasm to go through Partnership Development again. Having tried fundraising multiple times and failed, she can testify to Partnership Development’s effectiveness and seeing God provide for her needs through a team of partners that He has already provided before she started the process. This method has proved to be highly successful and every student at BGU goes through this process in their sophomore year if they are enrolled in the undergraduate program for their Global Internship overseas. More and more missionaries are using Partnership Development to go on the mission field fully funded and their ministry is able to flourish with a team of supporters who are partnering with them in the vision God has placed in their life. Remember that the Lord will always provide and equip you if He’s called you to a particular ministry or field or people group. Don’t live in the ‘what if’s’ but trust in the Lord’s providence.